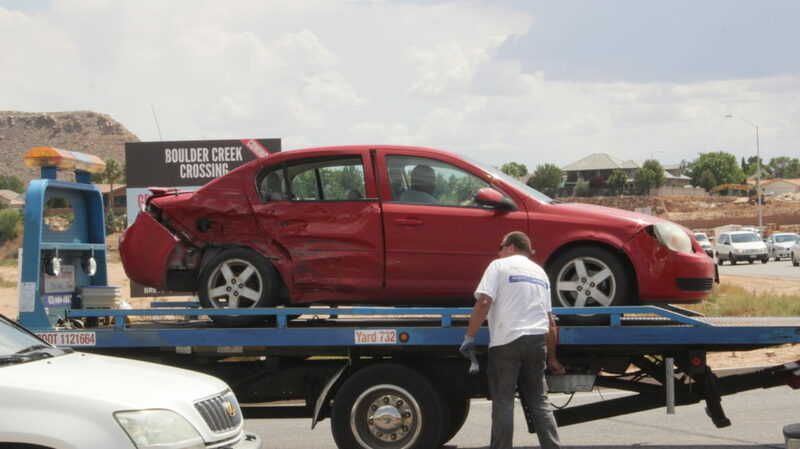 ST. GEORGE — An afternoon collision between a Chevy Cobalt passenger car and a Chevy truck caused significant damage to both vehicles and snarled traffic on River Road Thursday afternoon. At approximately 1:49 p.m., police and emergency responders received reports of an accident involving a red Chevy Cobalt and a red Chevy Silverado pickup at the intersection of River Road and 1450 South. When emergency personnel arrived, they found both vehicles in the intersection. 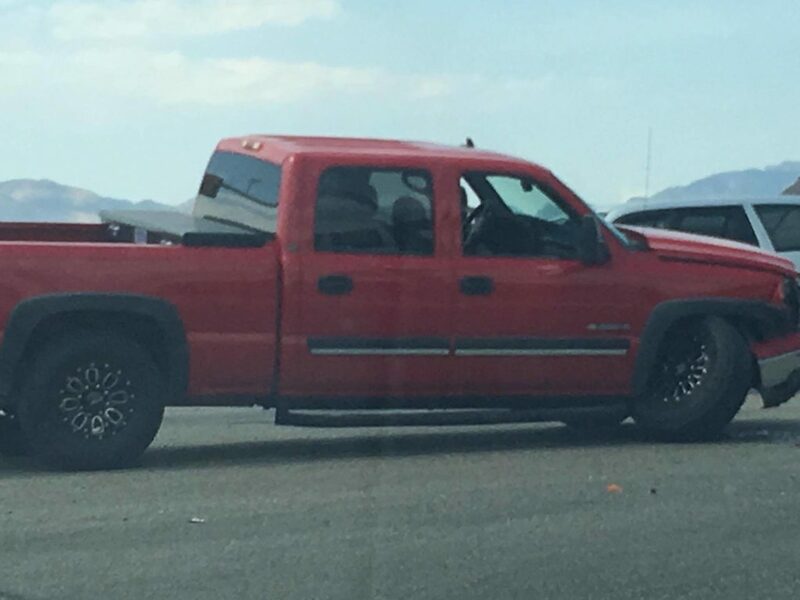 St. George Police Officer Lona Trombley said the adult female driver of the Cobalt was driving south in the left-hand turn lane of River Road and believed she could make the turn onto 1450 South before the man driving the Chevy truck arrived at the intersection. The drivers were the sole occupants of the vehicles. The driver of the Chevy truck slammed into the passenger side rear quarter panel of the Cobalt. “Witnesses said the Cobalt failed to yield to oncoming traffic,” Trombley said, adding that the driver of the passenger car was cited for failure to yield. Airbags did not deploy on either vehicle and both drivers were wearing seat belts at the time of the crash. Neither driver was injured in the collision, Trombley said. Traffic was diverted for approximately 45 minutes, she said. Both vehicles were towed. 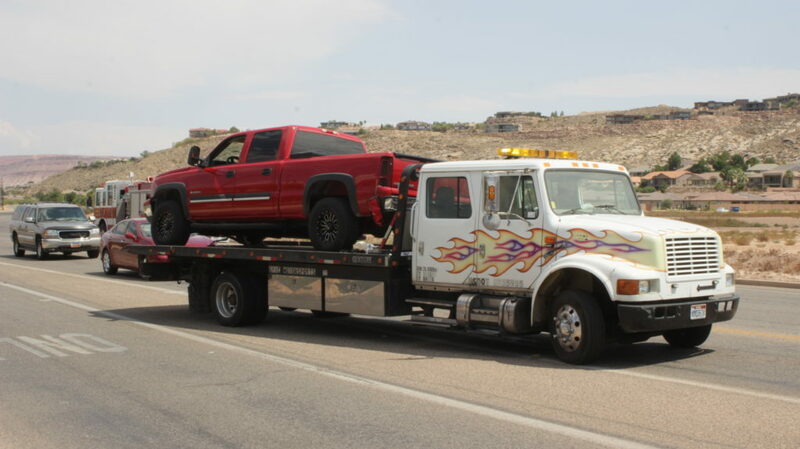 St. George Police and St. George Fire Department responded to the wreck. I would expect the damage to the Cobalt but that looks like a 2500 Silverado. That much front end damage is amazing. No one was hurt. Praise the Lord ! I wonder if that front axel damage totaled the Silverado ? Maybe major engine damage too ? That insurance bill will NOT be cheap . Big lesson in the cost of trying to beat on coming traffic for a left turn .